Last year I began making a map of medieval Europe + Middle east. I meant to make a "diplo" map where each territory has its own bonus. It was a big map, so I overestimated myself. The map itself is based on the game called Crusader Kings II - more specifically, on a free addon to it, called Historical Immersion Project. I tied the bonus values to the number of holdings in each county. In the SVG there are some named bonuslinks that are not yet represented on the map - in central germany. Most of the bonuslinks, though, still have to be named in the svg file. If you're interested - please contact me. Looks really good. About time we have a good Europe diplomacy map. I hope someone picks this up. 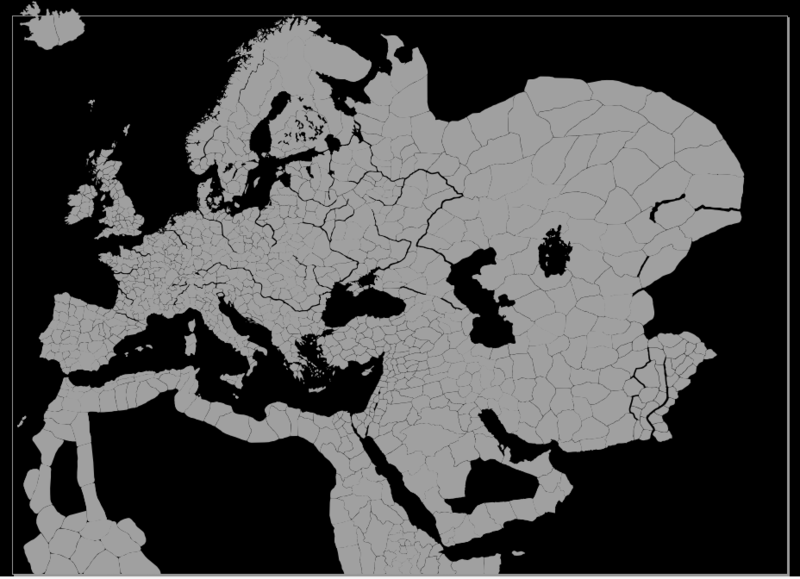 I also wanted to make a CKII map, but didn't finish it. If someone want the SVG, just ask.